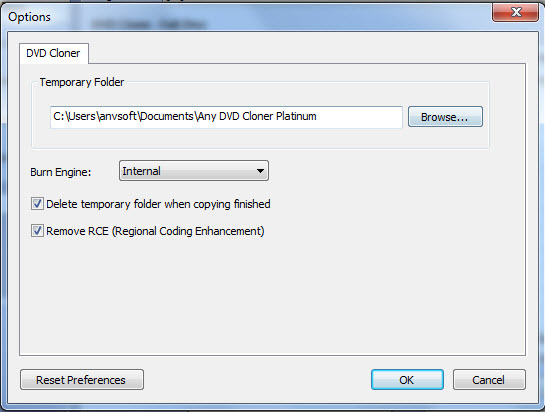 Any DVD Cloner Platinum can rip DVD movie, copy DVD to DVD-R/RW. 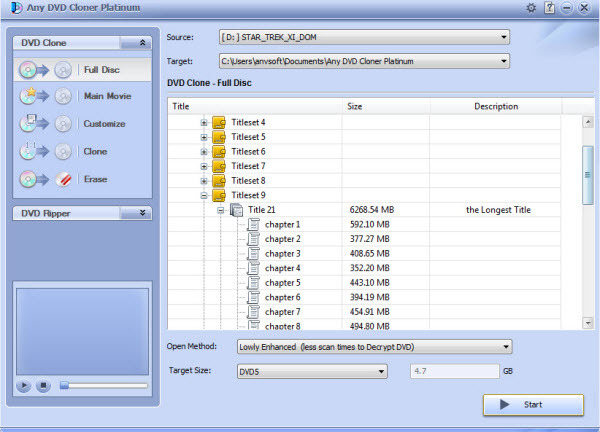 DVD Cloner Platinum is the most powerful and easy-to-use DVD movie copying, DVD backup and DVD ripper software to copy or rip DVD movie to DVD/computer with 1:1 ratio in a super high DVD copy speed. 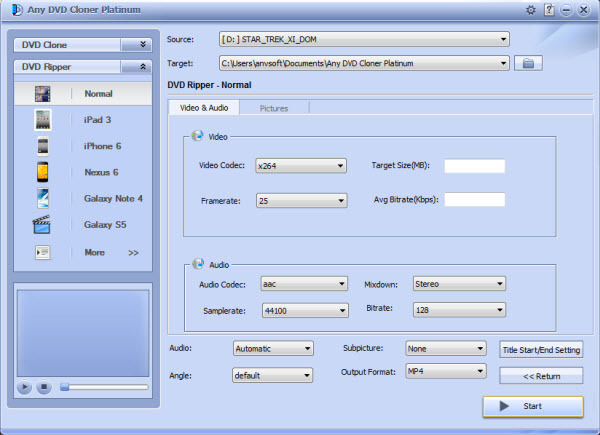 It also performs as an outstanding DVD shrink software, which shrink DVD 9 DVD movies to DVD 5 with excellent quality. 7) Target Size: DVD 5 (4.7G), DVD 9 (8.5G), Customize can be choosed. 2) Burn Engine: "Internal" is recommended for Windows XP users; "Microsoft IMAPI" is recommended for Windows Vista & Windows 7 users.